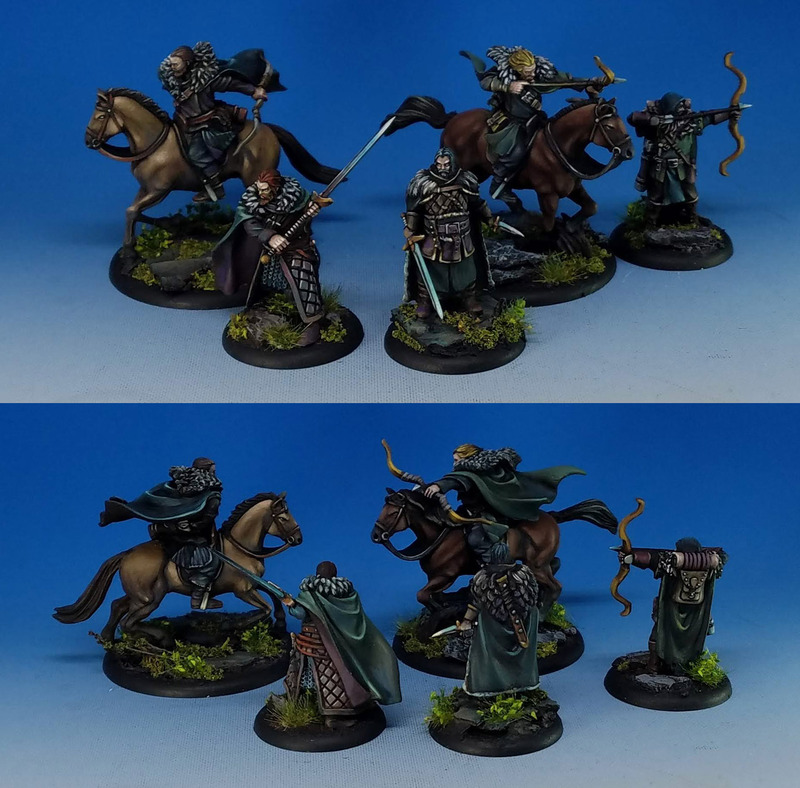 Just as I did with the recent House Stark alternate color scheme, I have been taking an army of Night's Watch and making them more like Gondor Rangers. You can see the hints of green in the cloaks, along with the more reddish and tan leather. 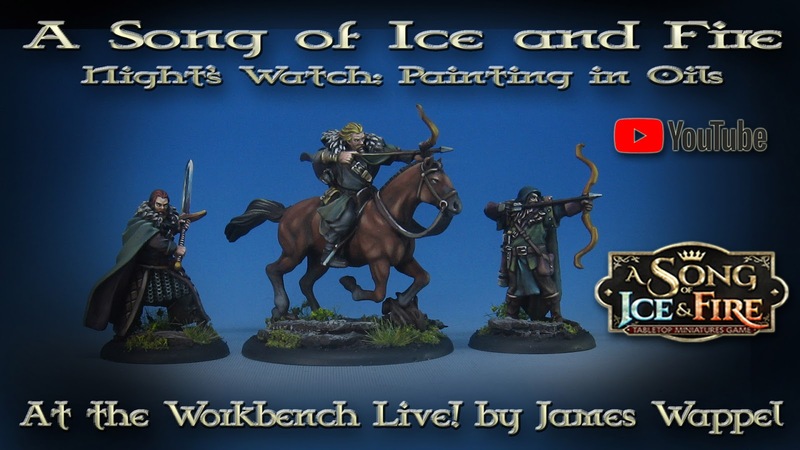 Not to worry, since I am keeping up with my own Army Painting series which has the Night's watch in "official" color scheme. However, it has been very fun to see them with this variety of blueish and warmer greens, along with more summer style foliage. By the way, those are my own home made shrub tufts! 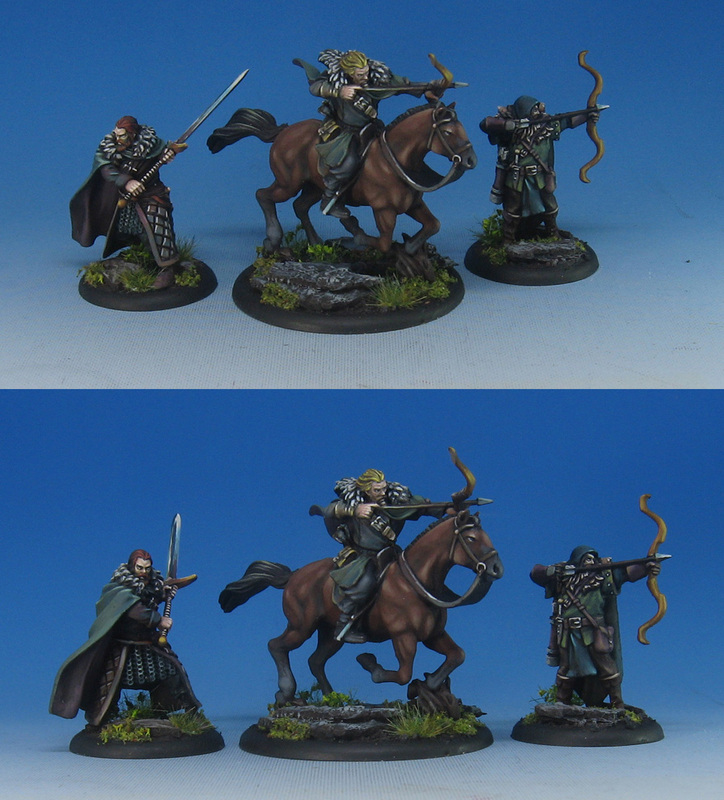 I really LOVE painting the horses from the Song of Ice and Fire range. 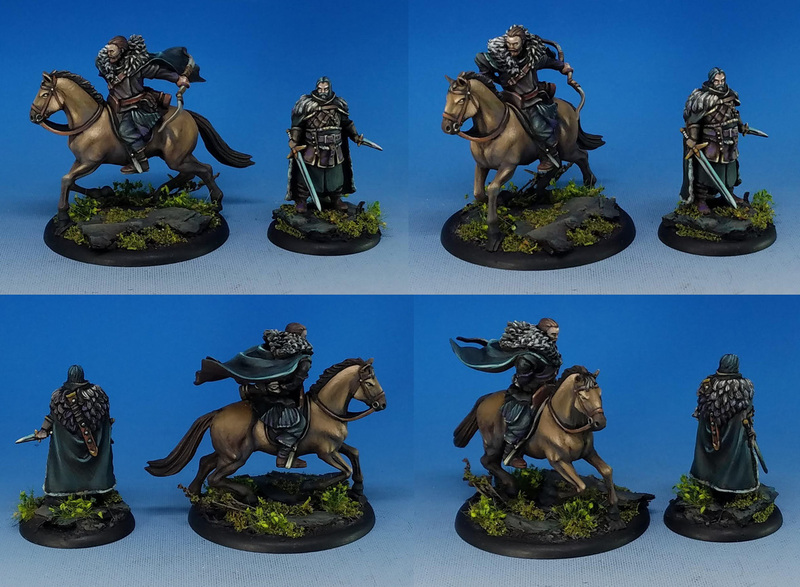 By far the best sculpted horses I have painted in nearly 20 years. 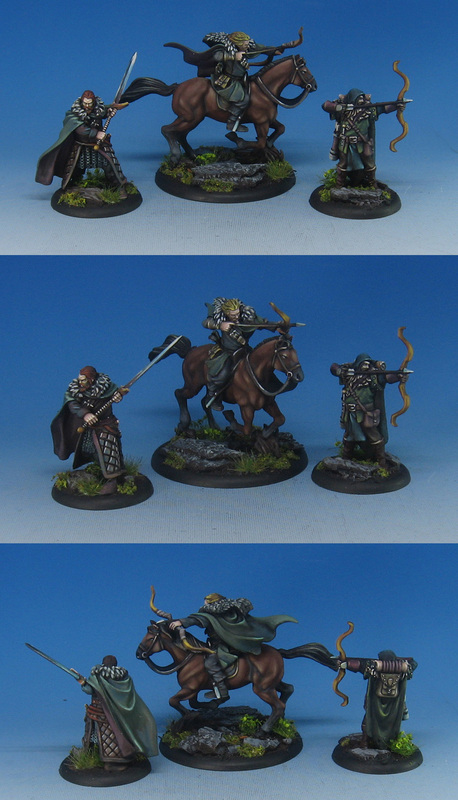 I will be painting a certain number of these alternate Night's Watch in oils, in army painting fashion. 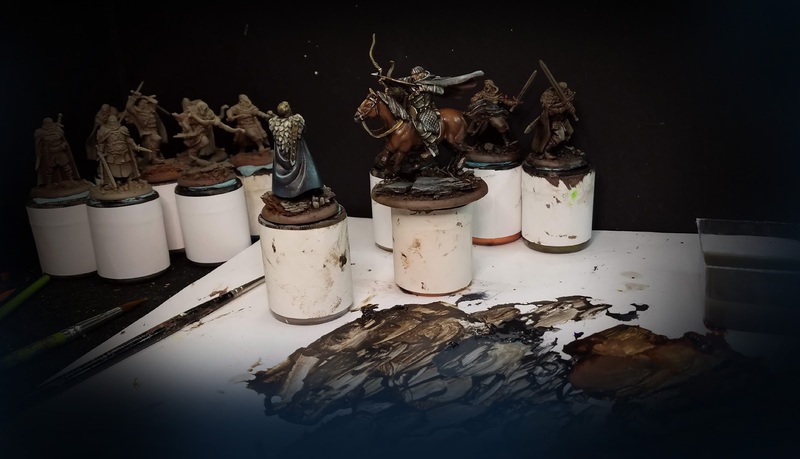 I already have one series of 5 episodes on painting a unit in oils available on the Patreon Page, but I wanted to try doing some of this on YouTube live sessions. 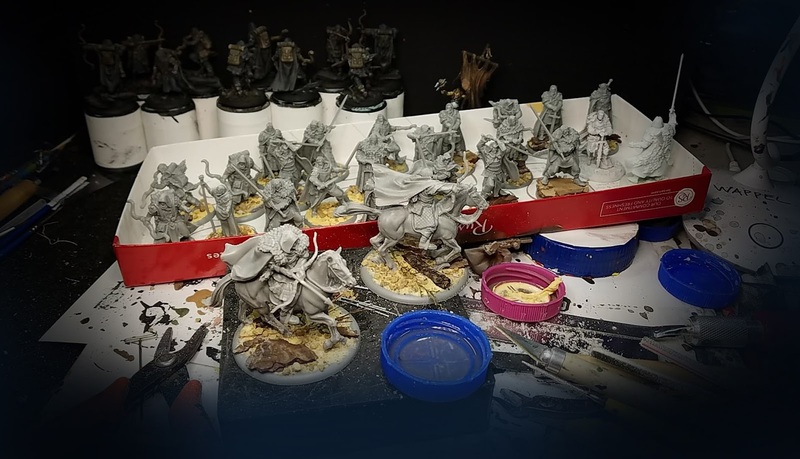 Here you see a massive batch of figures based and ready for priming. And away we go! 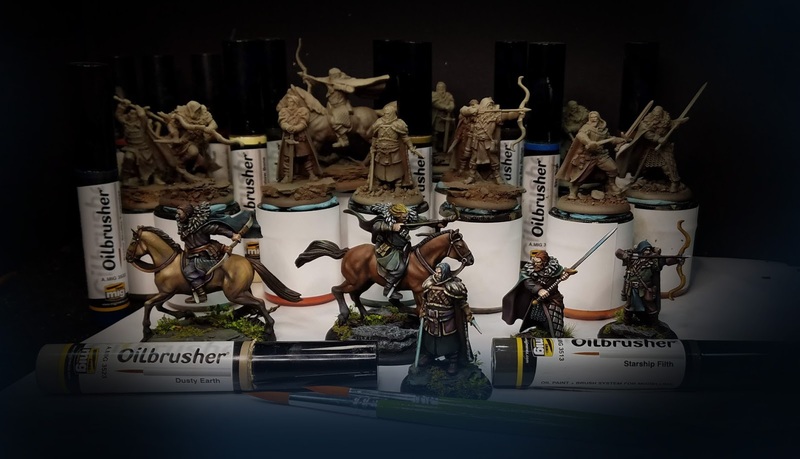 The first session was nearly 3 hours, where I introduce you to the method that I use for painting oils. 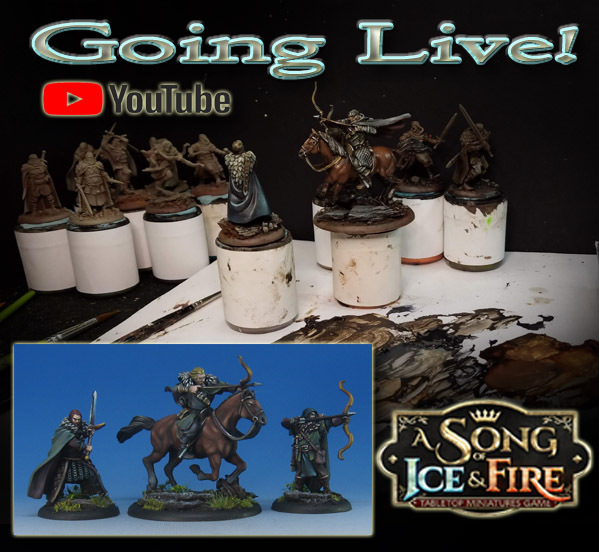 I am hoping to do one or two more live sessions during this project.